Are you interested in the topic of economic intelligence and have you used economic intelligence services in your current role within your organisation? Are you an Strategist / Economist / Planner/ Chief Finance Officer or Finance Director? Do you work in economics, risk, strategy, and finance or market intelligence? Do you see yourself as a decision maker or a facilitator in procuring economic intelligence services for your organisation? If any of this is you, then please would you consider helping a group of MBA students conducting a final year International Business Project supervised by Prof. Peter Naude at Manchester Business School? The team would very much like to hear your opinion in a 30 minutes interview to understand the key drivers of purchasing economic intelligence. The insight gained will be used to analyze the market for economic intelligence. 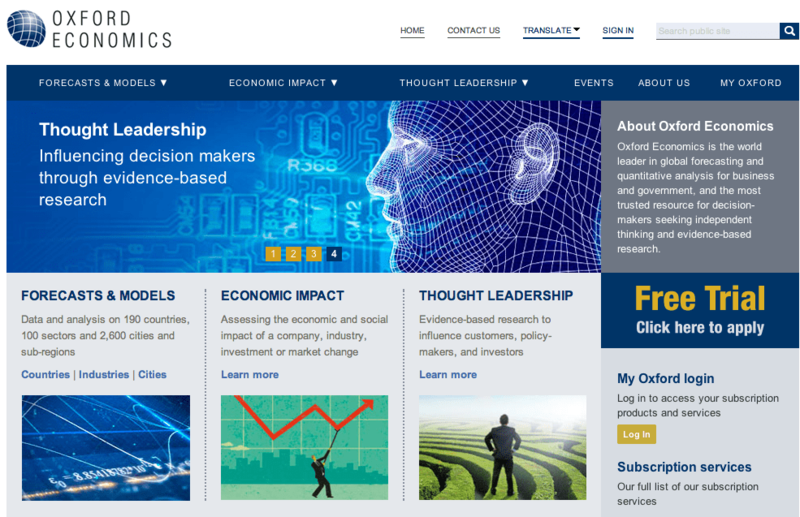 As a thank you for your participation you will be offered a month’s complementary access to Oxford Economics’ reports. All information disclosed with the team will be treated as confidential between the MBA team and the interviewee. Please talk to the team, by emailing Alice Bradshaw at [email protected] to schedule a time of your preference. Alternatively if you are known to anyone who might be interested in this initiative, please introduce the team either by emailing Alice or calling +447760 661446. This entry was posted in 4. Align, track & educate. Bookmark the permalink.